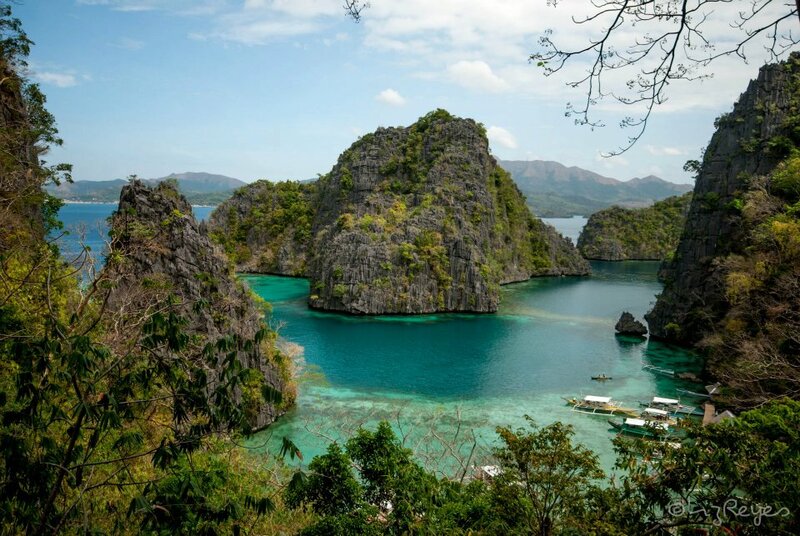 Coron is located in Northern Palawan and is one of the 1,780 islands of the province of Palawan. This small fishing village located southeast of the island of Busuanga, Palawan is known as the homeland of the Tagbanuas who are also the owners of some of the most popular islands and tourist spots in Coron. Being a popular diving location, the island of Coron has been a favorite among divers and anyone who loves marine life. As a matter of fact, Forbes Travel Magazine regarded Coron among the Top 10 best scuba diving sites in the world on the year 2007 because of its rich marine life and WWII Japanese Warships wreck that sunk in Coron Bay during the 1940's. Below is a 4 days 3 nights travel itinerary to Coron, the Philippine's last paradise. by any chance, did you get any contact details of Coron Harvest? or would you know any place here in manila that sells the same quality of cashew as the one there? This was very informative guide. Thanks for this very well presented guide about this Coron in Philippines; wishing someday to travel in this place. Just pass through it but i know i will get really helpful info here. Thanks! I and 2 officemates are set to Coron in November. Have bookmarked this page already. Soon...we'll be planning this trip. and i have no idea where can we find a tour guide ... cause E-Phil was too expensive for the package..
please help me guys... or advice and list of tour..
You can go for a private tour with Kuya Charlie or if you are on a tight budget, you can always join a tour with other tourists, led by him. I didn't realize i posted a comment here already. haha. again, thank you...now, i'm really getting an official guide. thanks Toni! Coron on the 23rd, so we're rushing with the bookings, details, etc. Any cheap accommodation? We'd like to really cut down our budget. great!! !we'll check oriental lodge then. 5-7k just for the lodging? how many days kayo dun? if yes, okay na yan. pero don't expect too much sa oriental lodging house ha, pero okay naman siya tulugan. i assume gaya namin most of the time nasa labas naman kayo so tutulugan niyo lang talaga yung hostel. kung ano yang nasa pix ng oriental ganyan talaga sya. nothing special pero pwede na. strategic din ang lugar kaya okay sya for me. lagi din ang black out sa coron so prepare your anti repellent although may generator naman halos lahat. requires kaso yun sa lahat ng establishments dun. Ahm, did you avail of a private tour? Or naki join ka sa ibang groups. I'll be there on Nov11-14. Dun sa 1st two days kasi, ako lang mag-isa and on my third day, kasama ko na yung 2 friends ko. My plan is to tour the town proper on my first day then on the 2nd day go to Malacapuya/Bulog Dos or yung Calambuyan Tour. Then on the third day saka kami mag-Coron Island Tours. Alam mo ba kung possible yung half day na island hopping? Balak ko kasi sa 4th day na magtour pa kasi 4pm pa ang flight ko pabalik. Hahaha! Sorry, andami kong tanong.. :) Thanks! Yes, we availed the private tour para hawak namin oras namin. Sa 1st day mo pwede ka nga magsolo, ang medyo malayo lang naman sa town tour is yung maquinit hot spring pero pwede ka naman mag trike papunta dun, or rent much better. Nov 13 si Kuya Charlie na kunin niyo if free sya for Coron Loop Tour, private ba gusto niyo? Pag half day naman, Lusong Gun boat shipwreck pwede pa siguro yun at Coral garden. Unless gusto mo ng Lusong Gun Boat shipwreck at Pass Island, eh beach din yun so I assume sawa ka na pag galing ka nam Malcapuya. Pwede pa yung shipwreck at coral garden. Php 6,500 that time yung samin. per head yun, pero kasi inclusive na yun ng lahat talaga, pati airport transfer at accommodation then yung half day town tour and 2 day touring sa mga islands. Ask mo kuya charlie if how much pag 1 day and half day lang and private tour. TONI....yung 5-7k all-in na sana. haha. anyway,4 days 3 nights kami. 3 lang nga kami so we're afraid mas magastos since 3 lang kami magshashare. but anyway, will check oriental lodge for their rates and kuya charlie too! haha. This is a very helpful Blog! Thank you s mga Q&A nyo. I'll call Kuya Charlie further queries for my tour on March 2013. Wow!This was amazing island that people in the Philippine should visit.I hope that if have the chance to travel in the Philippines, I would visit this Coron. Speechless about this coron trip...or maybe because don't know where to start.haha. But there's one thing...yes kiua charlie is really nice. We'll definitelu go back. I would really visit this place soon. I love to see their lagoons here. I would search some best hotel reservation site,where I can stay if I get here. I read your blog word per word! I don't usually do that and go straight to the highlighted destinations. Hi toni, is 20k a good budget for 2 persons excluding the hotel for 4 days and 3 nights travel in coron?? Thank you for posting this wonderful guide. It's very informative. I look forward to reading through the rest of your posts as I make my way through the Philippines! You have a nice informative blog. We had visited Coron a few months ago, stayed at Discovery island resort (beautiful - and secluded away from Coron on a small outlying island). I have also posted photos and details of all the places in Coron - snorkeling in siete pecadoes, beach bumming, etc. Feel free to see my blog and do write a line or two if you liked it. Do you think 6K/pax is enough for tour and accommodation considering our travel dates fall on a peak season (Apl 6-9) and I'm with 4 friends? Are the accommodations with breakfast na? <3 ur blog btw! very informative =) made me want to go back to Coron. your blog is very informative.. Thanks, Maricar for visiting my blog and for the comment. Glad you liked my travel blog. =) There are many vans sa airport pero much better if you inquire about airport transfer kung san ka mag stay. may kalayuan kasi ang airport sa town proper eh. San ka ba mag stay? WOW!what a wonderful blog is this most especially those places. I am hoping to travel and visit in this place also. Thanks. Same pa rin ba yung number ni Kuya Charlie as what you posted on your blog? Planning to book a tour with him this coming June 15-18, 2013. Please do not get Charlie Labajo as your Tour Guide. We got him because of this blog, and he turned out to be mayabang and unhelpful to us! Also while we were on tour with him in the Public Market 2 guys tried to collect debts from him and he hightailed and ran away from the 2 guys as fast as he could leaving high and dry and fearing for our safety. One of the 2 guys said that he is a "manloloko" or scammer in English and don't believe in anything he says! We were about to find out that what he said was true! He asked us for a much higher rate than we originally agreed upon at the end of the tour! We haggled but we eventually gave in because we had no time and had to fly back to Manila! PLEASE DO NOT GET THIS GUY BECAUSE HE IS A SCAMMER AND A THIEF! Sorry to hear about that. Many people have read my blog and decided to get Kuya Charlie as tour guide. I have also personally recommended him to friends and so far they are satisfied with Kuya Charlie's service. If you don't mind, when did you visit Coron and get Kuya Charlie as tour guide? Just recently. On the first day of the tour, he wasn't available so he asked two other tour guides to come with us. They were brothers named James and Mark, whom we found very polite, pleasant and helpful. They took time to take lots of pictures of the whole group, assist us with our vests and snorkels, lead and come with us while snorkeling, constantly checked the area for sea snakes, jellyfishes and other dangerous sea creatures, pulled us and carried our stuff thru strong current. In short, they were doing their jobs 100percent of the time. Charlie, on the other hand, snorkeled on his own, slept on the boat most of the time and talked to us like we weren't his guests. We kept on asking him questions like where to eat, but he answers "ahhh kayo nalang bahala or sige kayo na lang ah, uwi nako.. " in a very lazy way. At the third day, he was even proudly shouting/fighting someone on the phone in front of us. Later that night on the way to dinner, the intense confrontation of the 2 men, who almost beat him up hadn't he ran as fast as he did, happened. After several hours, he texted not to apologize for putting us in that situation / leaving us or to explain what had happened; he texted because he wanted us to pay him the balance and talk to the police for his protection. We want to understand him but he didn't even ask what happened to us or if were able to find a place for dinner. He only thought of himself. Even Micasa hotel staff and our 2 bangkeros told us that he has an attitude problem. That's he's really mayabang and he doesn't like the guests to be talking to the bangkeros, only him. That's why the bangkeros didnt go swimming us on the 2nd and 3rd day because they didn't want a complain from him. Palawan and its tourists do not deserve someone like him. We do not hope for anybody else to experience what we have experienced with him. Again, this is not to bash him but to warn fellow tourists. We're sure you'd also want the best trip for your friends and readers. 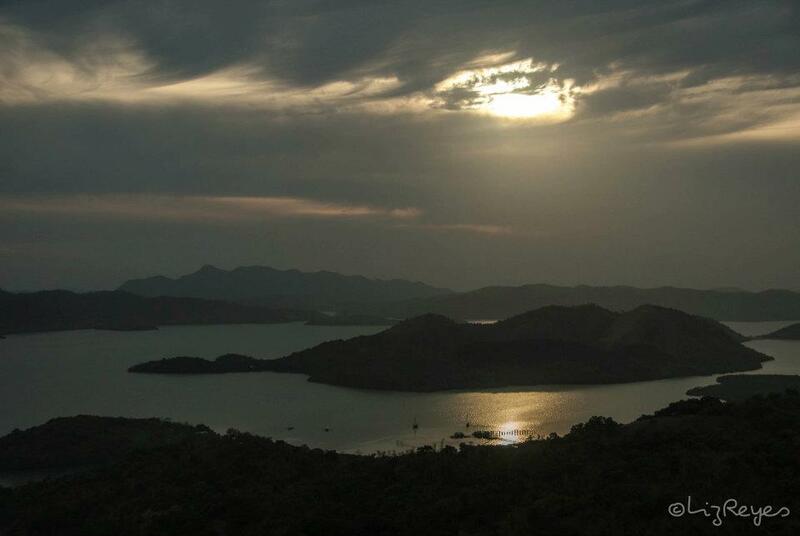 Thank you for this blog and info on Coron. 3 of us are going there 24-28 October. Am inclined to take the Day 1 (Oct 24) and Day 2 Coron Loop tour on the 25th then private tour beach and favorite places 2nd time around - Siete Pecados, Twin Peaks, Kayangan, Coral Garden, Sangat Island. Id like more info on Malcapuya and Banana Island. Am interested in Snorkling and Marine life - relaxed mode. Im also lacto-ovo-pesce vegetarian (seafood, vegetables, fruits, milk and eggs are ok). What would you suggest? Thank you so much! Very helpful. So excited! welcome poh thank you so much poh sa blog spot nio,dahil poh dun,marami akung na22nan sa lahat ng guest na recommend nio skin..
pki like poh pla yung facebook page ng green fins,that's our future project here sa coron..
We wil be going to coron this year, possible ba na magjoin kami sa other group for island tour para makasave kami, 2 pax lang kasi kami. Mga how much kaya yan per tour?.. We've been to el nido last march and nakaya namin ng 6-7k per pax budget (all in na :)), u think kaya yan sa coron?? BTW, can i have kuya charlie's no.? In case you want to visit Puerto Princesa, Palawan. Choose Go Hotels for hotels in puerto princesa. Highly recommended! www.UltimateCoronExperience.com or contact us at 0918-4659010. Looking forward to having you at Ultimate Coron Experience! "If you want to get to know a person more, travel with him/her..."
Having been bitten by the travel bug, exploring the world has been an obsession to her. Toni Alvarez sees to it that not a year will pass by without her satisfying her wanderlust and writing online itineraries after every travel has been automatic to her. My Lakbayan grade is B-!